We have used Hawkesbridge on two occasions and found them to be very professional and efficient in their work. I can’t speak highly enough of Pete and his team, I would definitely recommend them. We have recently utilised Hawkesbridge Fencing skill set to install signage and way marker posts in 47 public parks in Coventry City. Their work ethic and attention to detail has been exemplary enabling this project to run efficiently. We have used Hawkesbridge for 15 years across our group of companies nationwide. The team have worked on all of our fencing, secure compounds, post & rail, playground and garden fences. We can’t recommend them enough. Hawkesbridge have carried out a number of successful projects for us over the years. They deliver a high standard of work every time. They were also able to work around changes on site with no problems. Hawkesbridge never fail to impress every time they undertake a job for us. 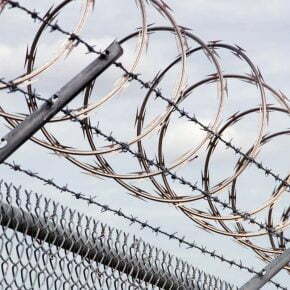 They helped us plan and specify the design for our security fencing and responded quickly if we had any issues. We will definitely be using them again. 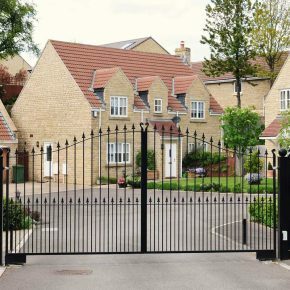 Hawkesbridge fencing have done amazing work on all of our housing developments over the past 10 years. From starter homes to high end luxury detached units, all work completed by them met the high standards we impose. Hawkesbridge Fencing have completed a number of successful projects on site including electronic entrance gates, cycle shed compound and perimeter fencing. All work has been managed by Pete and his team and completed to a very high standard.